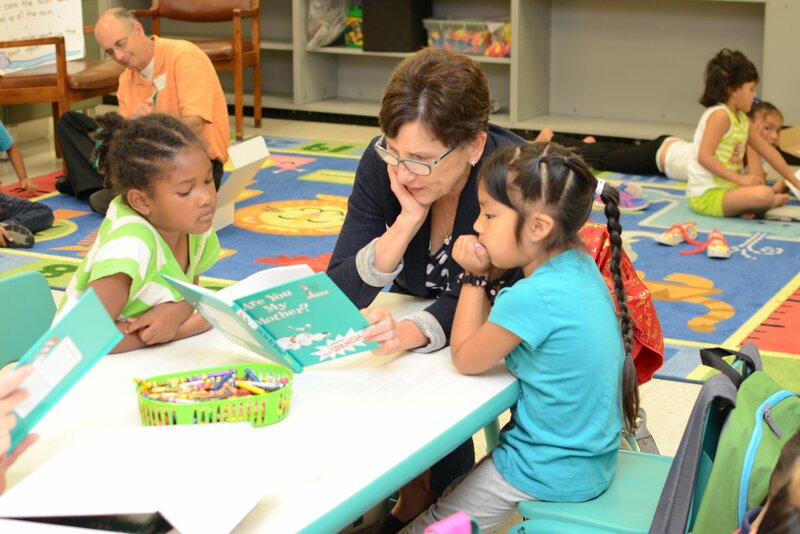 The Campaign for Grade-Level Reading is a national movement to increase the number of children from low-income families reading proficiently by the end of third grade. Children will enter school with the skills they need to succeed. Children will have fewer unexcused absences. Children from low-income homes will not fall further behind over the summer. View Waukegan's complete Community Solutions Action Plan. To get involved or for more information, contact Michelle Crombie at (847) 775-1016 or Michelle.Crombie@uwlakeco.org. Waukegan’s Grade-Level-Reading Campaign was recognized as a 2015 National Pacesetter for making measurable progress in summer learning. Waukegan Campaign for Grade Level members, Waukegan School District 60, United Way of Lake County, Waukegan Park District, the Waukegan Public Library and Kohl Children’s Museum collaborated to enhance and overcome barriers for children to participate in existing community programs. By working together, the group was able to provide full day academic, enrichment and recreational activities, provide bookmobiles and field trips and offer scholarships. In Waukegan, initial results show that on average, children who participated in summer programming did not lose academic ability over the summer, compared to a seven point loss for elementary students in the previous year.